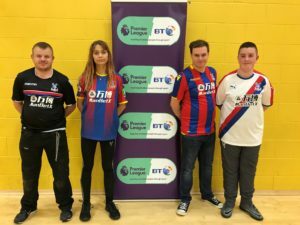 Jordan is a Palace-mad 15-year-old who has been supporting the club for as long as he can remember. Through the Foundation, he has been able to fulfill his passion to play football, gain new skills and prepare for his future. 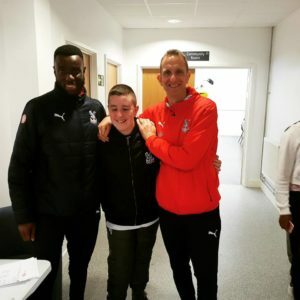 Jordan attends Bensh am Manor, a special secondary community school for boys and girls with moderate learning difficulties and autism in Thornton Health focusing on language and functional skills development, where he has been taking part in after-school football sessions for more than three years. Jordan’s enthusiasm and commitment led to his coach, Keon Richardson, recommending him for a Sports Leaders course, to further develop his confidence. 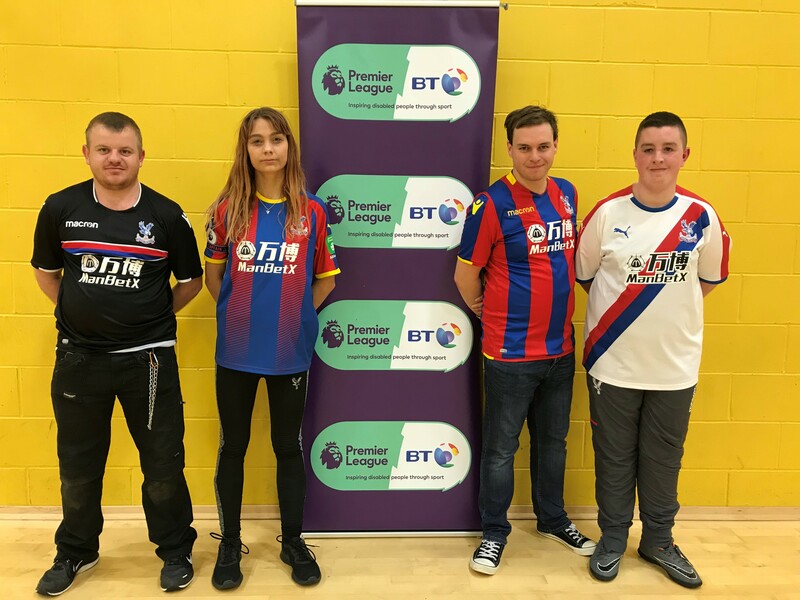 Keon, Disability Officer at the Foundation, explained: “Jordan has been a stalwart participant at our after-school football session. He is the first to arrive and the last to leave as he’s helping me pick up the cones. He’s confident in giving constructive feedback to his peers and is always encouraging when the other participants make mistakes. As a result, Jordan is now keen to help the Foundation and has ideas for how he could give back to others in the community.